Plant based, vegan recipes have been the main focus for us during the last couple of years. With the aim to add to our growing range of vegan treats for foodservice and food-to-go markets, we've been hard at work developing three new cakes that are available from March. We'll be celebrating their official launch at IFE 17-20 March 2019. These delicious cakes are designed for cafe and coffee shop counters where they want an artisan, homemade look. Feedback from our customers has been that they taste every bit as indulgent as their buttery counterparts. These cakes are on trend with the increased demand for vegan products. Mintels latest research cites that 26% of consumers prefer plant based products, and Veganuary 2019 had record numbers of people signing up. 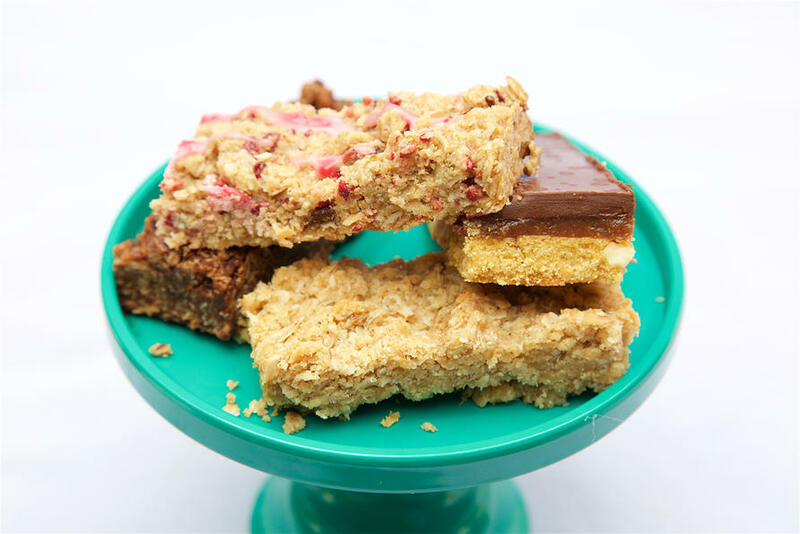 Our growing range of accredited vegan cake slices and traybakes tick all the boxes for anyone wanting an indulgent treat that just happens to be "free from". Slices - supplied 16 and 40 per case. 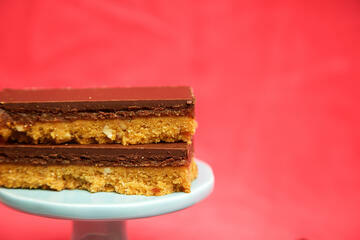 Traybakes - supplied uncut, 3 per case, or cut into 16's 1 per case. 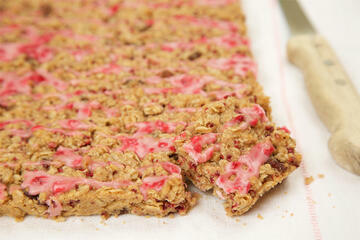 Baked with oats, raspberries and sultanas, and drizzled with icing. Our signature nutty biscuit base topped with delicious homemade date caramel and dark chocolate. 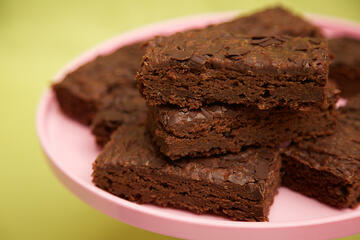 A slow baked brownie with just the right amount of gooey-ness. A coffee shop classic. Shelf life after defrost 15 days. Available from March 2019. For samples and further information about any of these new cakes, please do call us our sales team on 01963 23597 or email us. Download details of our full range of vegan and gluten free cakes. Honeybuns cakes are supplied frozen and need to be defrosted and date coded by the retailer.